Many busy restaurant business owners see managing their finances as an ongoing struggle. You may have a passion for food but not for accounting and bookkeeping, and yet these tasks are essential to the success of your restaurant. 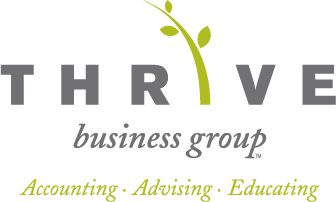 Thrive Business Group understands your challenges and is here to assist you with a full menu of restaurant accounting services. We can take over your bookkeeping, payroll, and tax planning needs so you can stay focused on doing what you love, serving your patrons. But we'll do more than handle your routine accounting functions, we'll help your restaurant stay profitable. As a local Bellingham, WA CPA that's worked with many businesses in the restaurant industry, we have an array of accounting solutions to help you cope with expenses like rising energy costs and seasonal shifts. We'll prepare weekly financial statements geared towards controlling costs and monitoring trends so you can manage your money more effectively. We can also evaluate your internal controls and find ways to make practical improvements. Are you ready to start saving time and resources by outsourcing your restaurant accounting to Thrive Business Group? Call us today at 360-746-8738 or request a free consultation online and we'll contact you.